Writing an unauthorised biography of a film-star isn't easy, even if one wilfully pens it in simple prose to make it more accessible for the reader. I learned that lesson around 15 years ago, when I had migrated to write a series of star biographies in Mumbai. Salman Khan, Bollywood's enfant terrible, was the subject of one of the books. Writing it turned out to be far more challenging than the rest. Separating fact from fiction was exceedingly difficult, with there being a new Salman Khan story every second day. The Salman of then was different from the Salman of now — in his late 30s, he didn't have a reputation for being friendly with most journalists and yet, he was forever in the news because of his turbulent personal life. Film journalists specialising in gossip reportage ferreted out stories about him from their sources within the industry. Some added exotic spices to their copies, creating 'faction' — a portmanteau of facts and fiction. Those were also the days when some serious Salman stories were being pursued by the mainstream media diligently. In 1998, he ran into trouble following allegations that he had gone blackbuck and chinkara hunting while shooting for Hum Saath Saath Hain in Jodhpur. In 2002, there were allegations that driving rashly, he had allegedly run his Land Cruiser over pavement dwellers sleeping outside the American Express Bakery in Bandra, killing one and injuring three. His relationships with his famous ex-girlfriends that had gone sour — including those with Sangeeta Bijlani and Aishwarya Rai-Bachchan — had become national news. There were reports that he had emptied a bottle of soft drink on his ex-girlfriend Somy Ali's head in full public view, and apparently assaulted a leading director-producer who had made some nasty remarks about his then-girlfriend Aishwarya. How was he before he became a star? Actor Mohnish Behl had memories of him as the young guy whom he teased as the "poor man's Sanjay Dutt" who "wanted to earn Rs 10,000 per month." That sounds unreal when we think that the Salman of today must be worth a few hundred crores at least — it is impossible to know the exact figures. We watch and read about his films and TV shows. We come across cheerful gossip about him and Iulia Vantur, his alleged Romanian TV presenter-actress girlfriend. That he won't get married seems practically certain, unless fate plays a few tricks and drags him to the wedding altar. The good news is — we haven't heard any disturbing Salman story for a fairly long time. Forever followed by the media, he comes across as a friendly and relaxed human being now, which must be surprising for those who had seen him as a young star. It is as an actor that Salman has hardly changed, as compared to others. He is the odd man out among big stars, who are responding to the zeitgeist of modern times by reinventing themselves. The nation's ultimate romantic hero for the longest time, Shah Rukh Khan stepped out of his comfort zone to act in films like Raees, Fan and Dear Zindagi in recent years. None of them did earth-shattering business — yet, they clearly showed that he was trying to venture beyond stereotypes and make his movies count. Working in changed times, SRK has been attempting to add to his list of memorable characters, with roles like Mohan Bhargava, the former NASA program manager who comes back to his homeland (Swades), and the women's hockey team coach Kabir Khan in Chak De! India. That's good news. Aamir Khan has been known as Bollywood's 'Mr Perfectionist' — and not without reason. He might have blundered by working in the shabby fantasy drama, Thugs of Hindostan, recently but that can't take anything away from the fact that he has chosen many great scripts and roles in his career. In recent times, he has played characters as diverse as Mahavir Phogat, the amateur former wrestler who coaches his daughters in Dangal, and Shakti Kumar, the music director in Secret Superstar. Atypical. That's typically him. Salman Khan is a study in contrast. 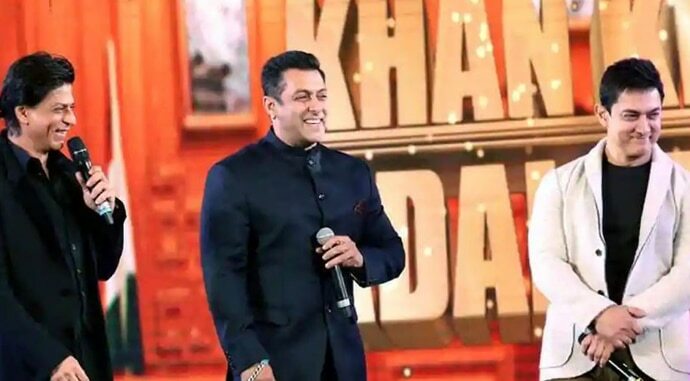 Bharat, his much-hyped film, will be released on Eid this year. Adapted from the Korean film Ode To My Father, the predominant image in its official teaser shows him wearing a sleeveless vest before he puts on a white jacket that matches his pair of white trousers. That is not all. The motorbike he walks towards and sits on has a nameplate that reads: BHARAT. That may not be particularly original, but it is likely to make the Salman fan smile. Salman has always prioritised his stardom over acting. He is not uneasy about recycling the same body language and mannerisms in most of his films. His idiosyncratic ploy, of taking his shirt off to showcase his rippling muscles, drives his fans crazy even today. 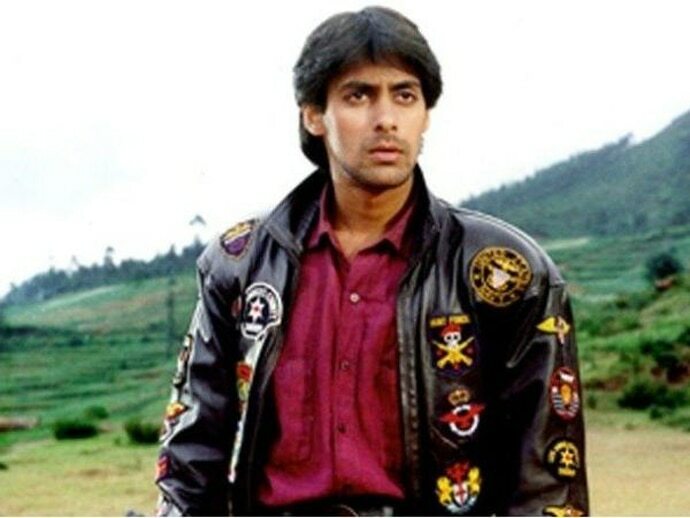 After doing that for the first time in Maine Pyar Kiya, he's repeated it in numerous films, including Pyar Kiya Toh Darna Kya, Jai Ho, Dabangg, Ek Tha Tiger, Wanted, Partner, No Entry, Tere Naam, Ready, Tumko Na Bhool Payenge, Judwaa and Hum Dil De Chuke Sanam. Just as many Amitabh Bachchan fans wanted to believe that he was taller than the tallest basketball player in the United States during the megastar's heyday, many Salman fans are convinced that nobody has a physique like him. So, he continues to take off his shirt — which his devotees adore. Songs and dances are mandatory in big-budget Bollywood films. That doesn't mean every male actor is a talented dancer. There are those actors who have distinct limitations (Aamir and Shah Rukh), while others like Hrithik Roshan and Shahid Kapoor are seriously gifted. Salman, too, has limitations as a dancer — he also comes across as a star, who isn't particularly fond of taking that extra step to learn some tough new moves. His choreographers seem to know that, which is evident in his routines in super-hit songs like 'Oh Ho Jaane Jaana' in Pyar Kiya Toh Darna Kya, 'Hudd Hudd Dabangg' in Dabangg and 'Just Chill Chill' in Maine Pyar Kyun Kiya. The actor has decent comic timing, which has been seen in films like Mujhse Shaadi Karogi and Partner in which his combination with the inimitable Govinda produced several hilarious moments. And who can forget Andaz Apna Apna, the outstanding cult classic in which Salman and Aamir's gut-busters made us fall off our seats? 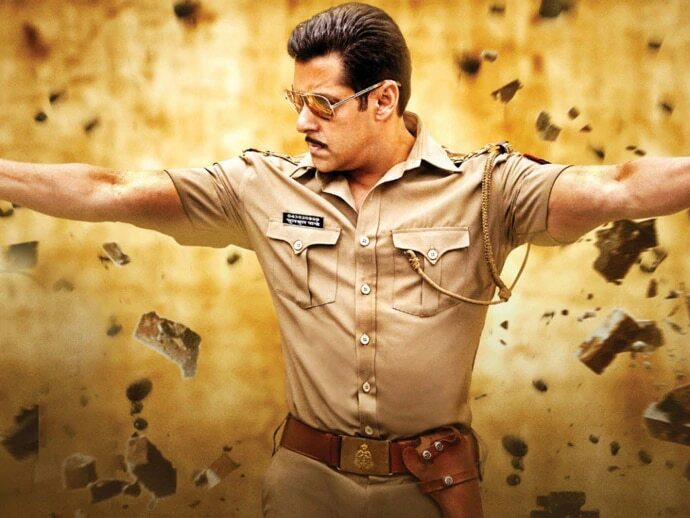 His character of Chulbul Pandey in Dabangg and Dabangg 2 was the outcome of introducing some endearing mannerisms. The flipside is, his other comedies showcase a fixed set of now-familiar funny expressions. Some of these films have been huge hits — but working in them hasn't contributed to his growth as an actor. Fifty-three years old, Salman cannot play the quintessential bubbly romantic hero any longer. Those days are gone. What he can do — and does — is play the action hero. Be it Wanted with which he made a resounding comeback in 2009, or Ek Tha Tiger and its sequel Tiger Zinda Hai, he has fared well in several films of the genre. That's happened since his screen presence does half the job, while well-coordinated action sequences and hard-hitting, viewer-friendly dialogues do the rest. It is when he has to deliver nuanced responses in emotionally charged situations that Salman falters — and often, badly. Not many such sequences are written for him either. Filmmakers know that he is far better off wooing, flirting, joking, singing and fighting, all of this wearing tees or shirts meant for somebody a couple of inches slimmer. There has been that rare occasion when he has tried to be different. In Bajrangi Bhaijaan, for instance, he played a simple Hanuman 'bhakt' who discovers that the child he has given shelter to is Muslim. The plot of the film, which was a blockbuster, strayed towards the tired themes of the Indo-Pak relationship and the need to look beyond religious boundaries. But Salman did play a character that was different from his usual choices — which is something he needs to do more often. That may not happen though since the typical Salman fan wants to watch him play himself time and again. This viewer may have liked Bajrangi Bhaijaan, but s/he may not enjoy too many offbeat films from the actor. The Salman of today finds himself in an era in which ideation for films has assumed unprecedented significance. Viewers, who seek novelty in the stories, are quick to reject their screen gods. But they are willing to make an exception for him and watch his masala entertainers that have all the predictable Salman-isms, just as long as the film isn't outright horrendous. Shall we call him one hell of a lucky guy? I would say he is the 'Last Original'.